Lawrence Markey is very pleased to present the gallery’s first solo exhibition of work by John Zurier. John Zurier recent paintings will feature six paintings informed by Zurier’s travels in Iceland. The foundation of Zurier’s work has been the interplay between physical, material structure, and more elusive aspects of perception in painting. In this elegant group of recent paintings, light, color, atmosphere and mood are revealed on the surfaces of canvas or raw linen. Structural supports are often evident, with corners frequently tacked or folded. A variety of brushstrokes display a skillful balance between lyrical gesture and pragmatic compositional method. With washes of distemper (raw pigments dissolved in rabbit skin glue), color seems to diffuse and hover in natural light. 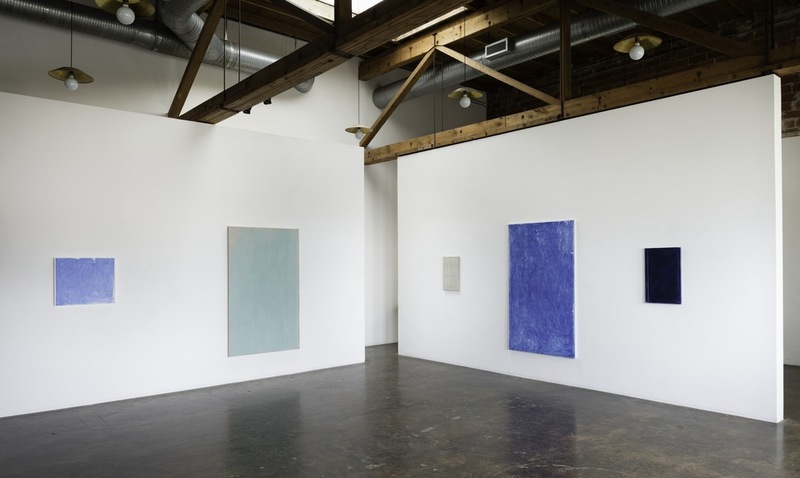 Zurier has cited “traditional Japanese aesthetic principals of simplicity, suggestion, incompleteness, and impoverishment” as guiding principles for his painting. John Zurier was born in Santa Monica, California in 1956. He lives and works in Berkeley and Oakland, CA. Zurier has exhibited extensilvely, including: the 30th São Paulo Biennial in São Paulo, Brazil in 2012, the California Biennial at the Orange County Museum of Art, Newport Beach, CA (2010-2011), multiple showings at the UC Berkeley Art Museum, and the Whitney Biennial in 2002. His paintings are represented in collections which include the Berkeley Art Museum, Colby College Museum of Art, Waterville, ME, San Francisco Museum of Modern Art, and University of California, San Francisco Art Collection. Zurier was awarded the John Simon Guggenheim Fellowship in 2010.